Every woodworker, and with him every woodworking company, has ten good reasons to make no compromises when it comes to working safety - PCS® prevents accidents and guarantees dexterity and a handshake quality forever! 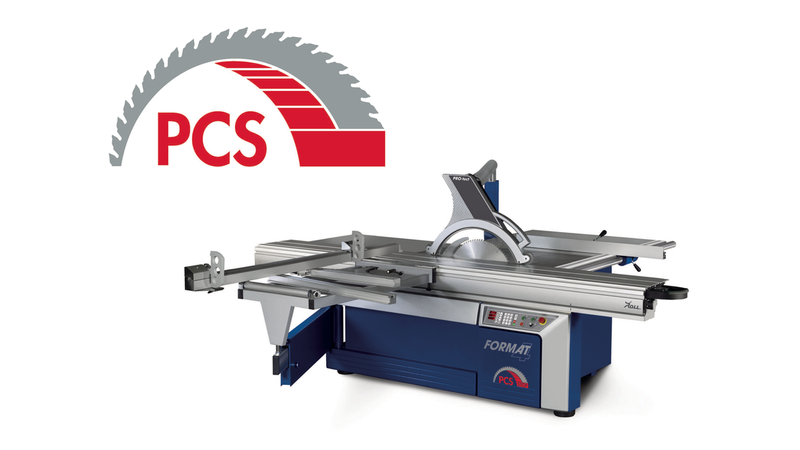 In the event of detecting the risk of an accident, PCS® triggers the lowering of the saw blade under the saw table at the speed of light. The functionality based on the electro-magnetic law of repulsion allows for an all-time extremely short response time of a few milliseconds. Safety environment recognition with early approach detection. Upon detection of unexpected, fast approaches within the saw blade area, PCS® triggers the safety lowering. The safety environment encloses the saw blade and protects against access from all directions. Absolut damage free, immediately ready for use. The PCS® safety lowering works damage free and at no cost. The sliding table panel saw is immediately ready for use at the push of a button. PCS® works without consumable parts and therefore completely adjustment and maintenance free.